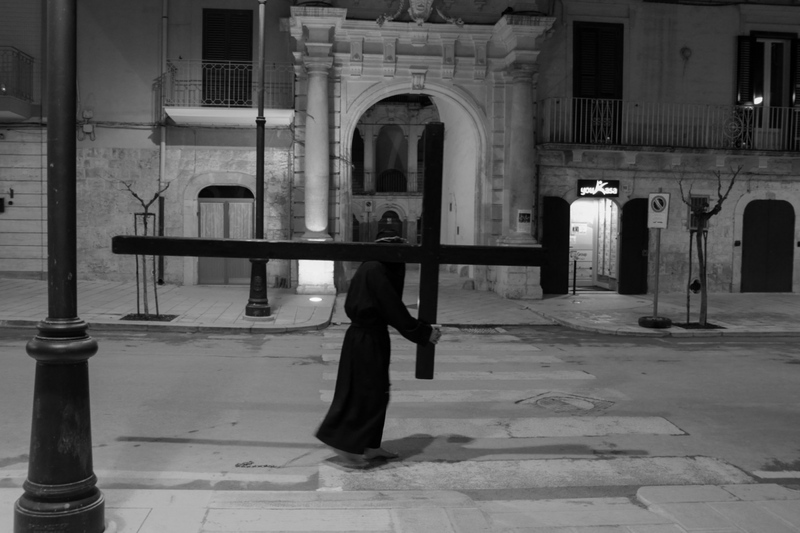 Faith in divinity and the rituals that characterize it accompany the human being from the dawn of time. 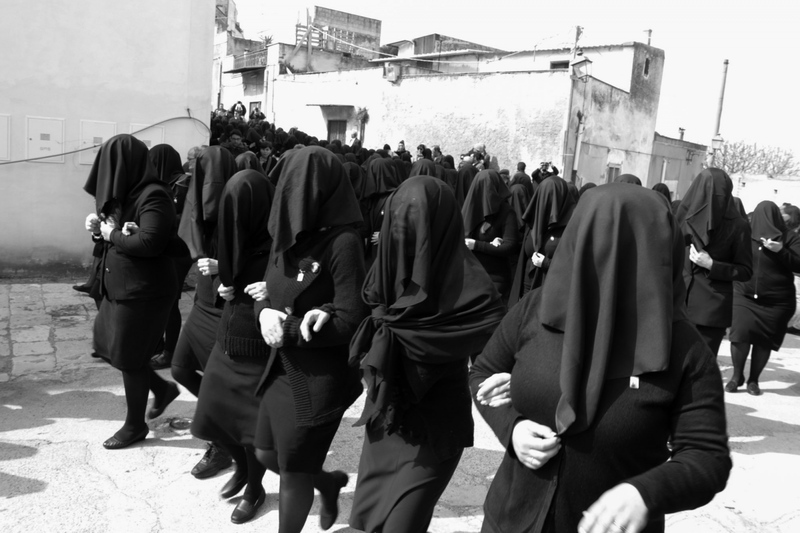 The religious ritual finds its outlet in the procession, which in the course of human history has always represented one of the most characteristic aspects of a community, such as the ancient Egyptian processions along the river Nile, where its importance in religious Egyptian topography, represented one of the "sacred streets" par excellence. 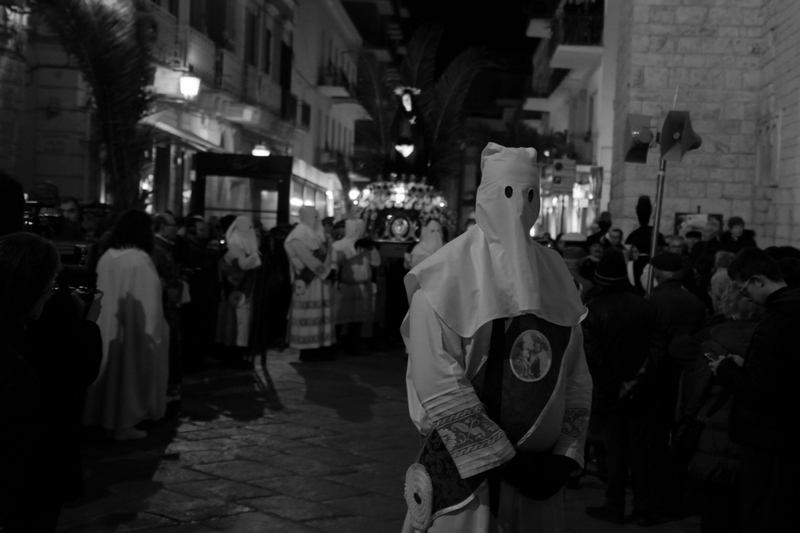 In ancient times the processions were also characterized by a search for the socio-cultural identity of the faithful, who through their songs, dances and rhythmic gestures expressed their culture, as in China and Japan, where the processional rites were accompanied from immense crowds, carrying labarias, banners, mythical animals reproduced in the most vibrant shapes and colors, while the dancers performed in groups taking part in majestic dances. 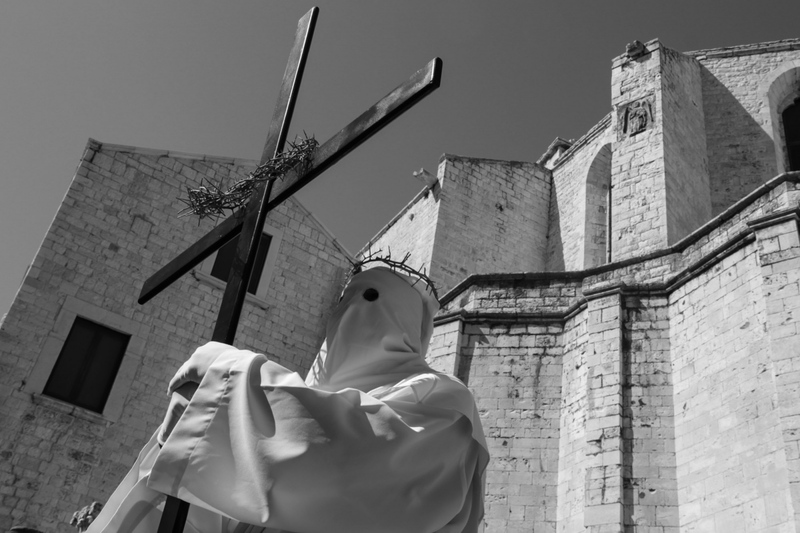 Today the Christian processions have lost part of the show they represented in the past, turning into a melting pot of ancient and modern cultures, where the thin line between the sacred and the profane is constantly tested by the few elements that have accompanied them through history. 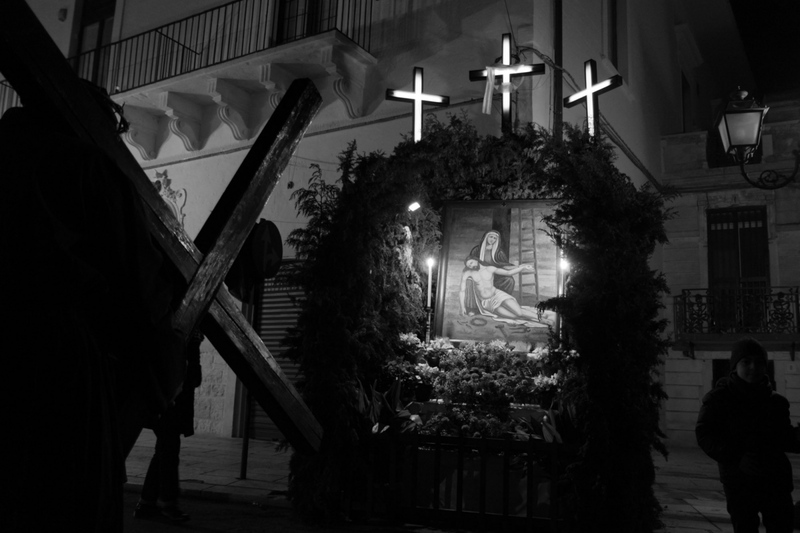 The physical itinerary along the streets of the City does not only symbolize a moment of community prayer and a penitential act, but also an end and a means to bring the message of Christ among people, urging them to follow His example and that of those who they knew how to "deny themselves”. 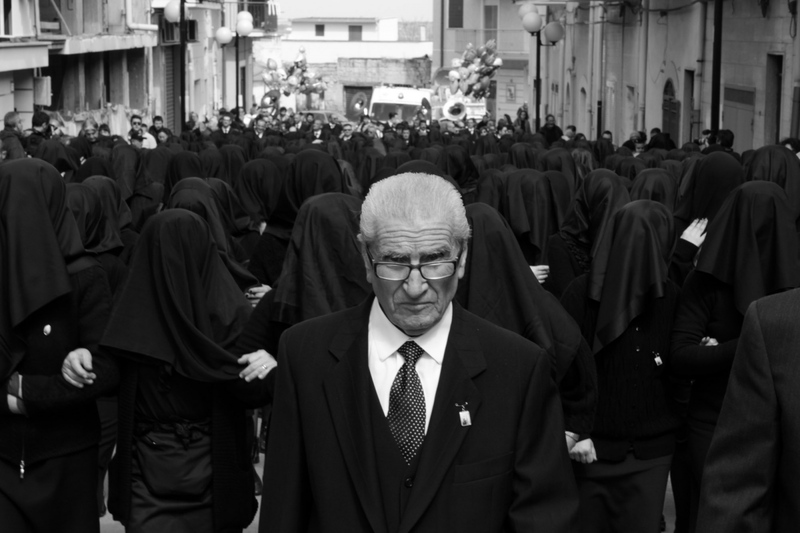 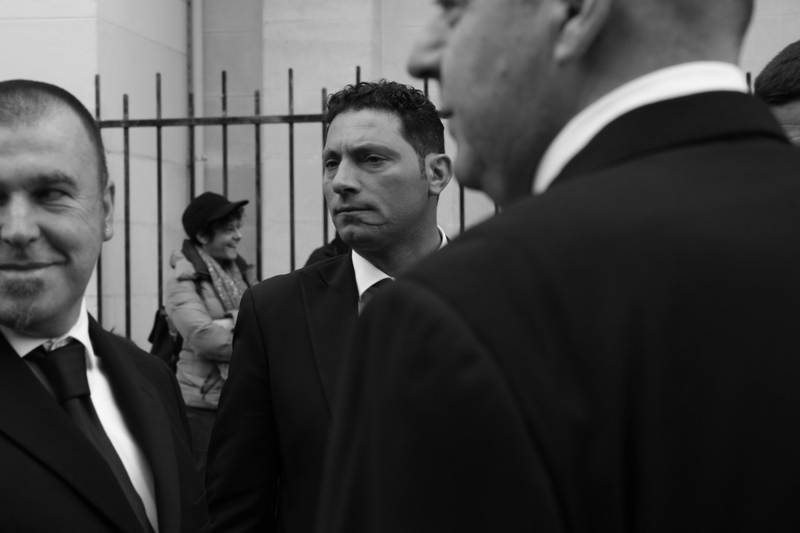 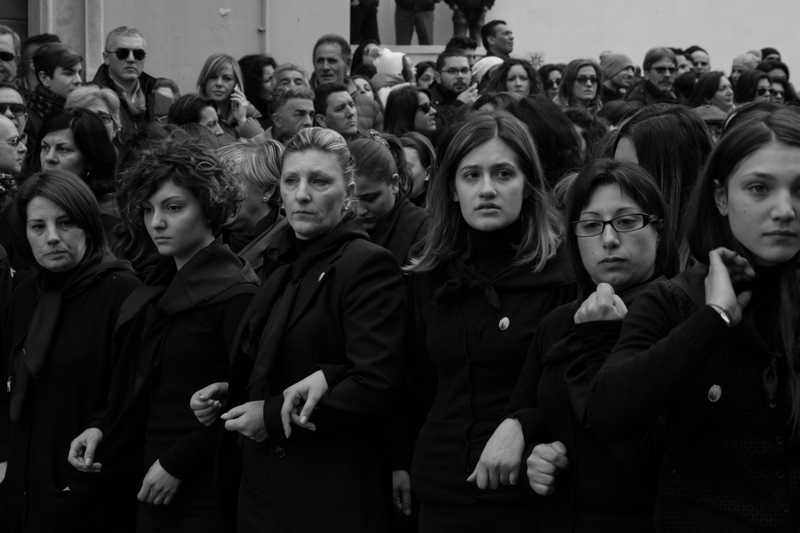 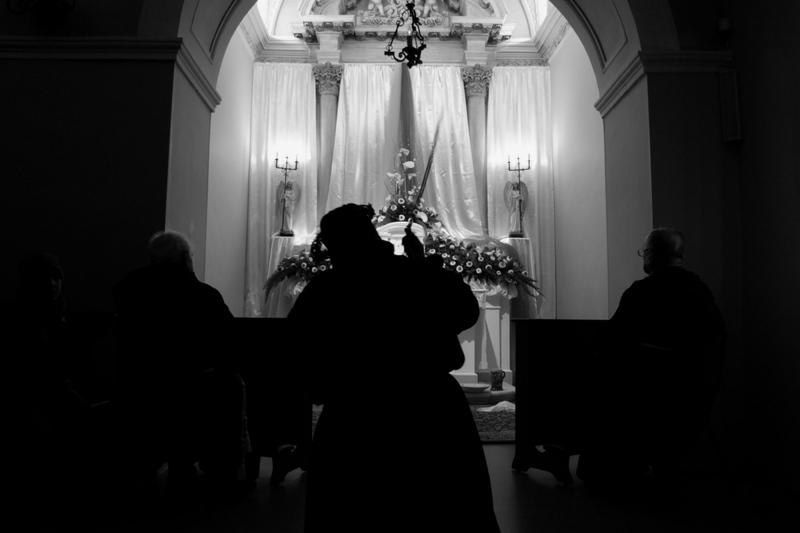 Within this scenario, "Holy Week" recounts the ancient processional rites that still take place during the week that precedes Easter in Puglia, Italy. 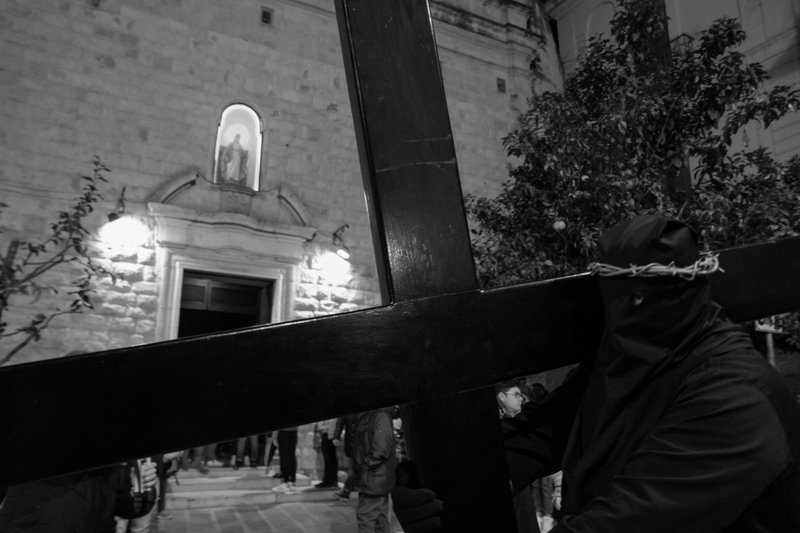 Traveling through the region, I crossed several countries in the hinterland of Puglia, where in the days preceding Palm Sunday, the various precessions are held to rebuild the days before the crucifixion of Christ. 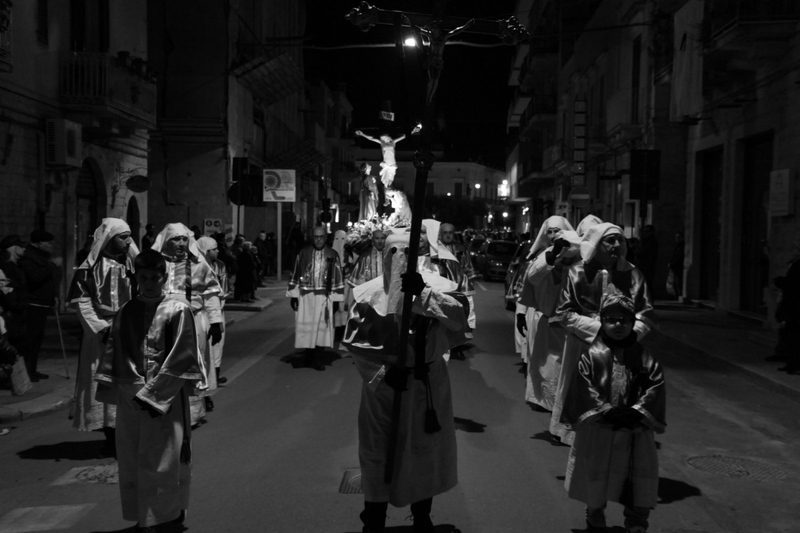 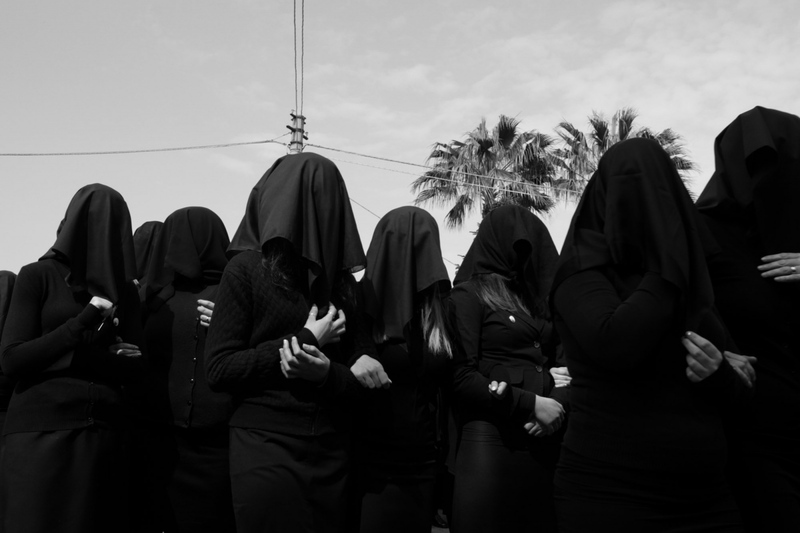 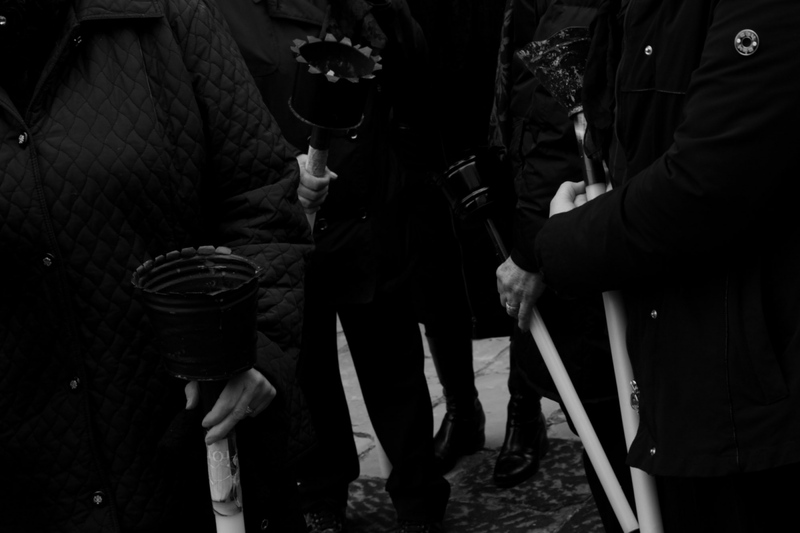 During the journey through the small streets of the villages, the procession is accompanied by songs, prayers, and litanies with the aim of transmitting the empathy towards the moments that characterize those days. 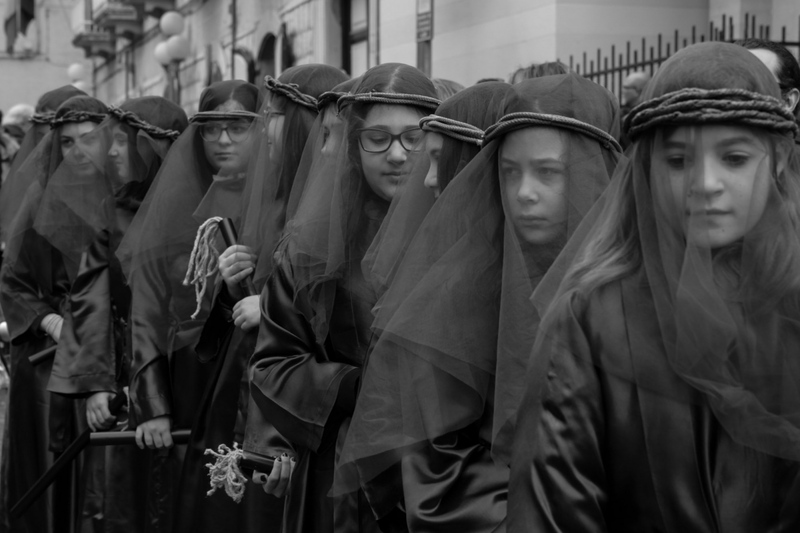 The procession was an opportunity for Christians to pray and to get close with the divine, taking part in a real "journey" together with the saint, with the aim of exciting piety, to give thanks remembering the benefits granted by the divinity and ask for help to it. 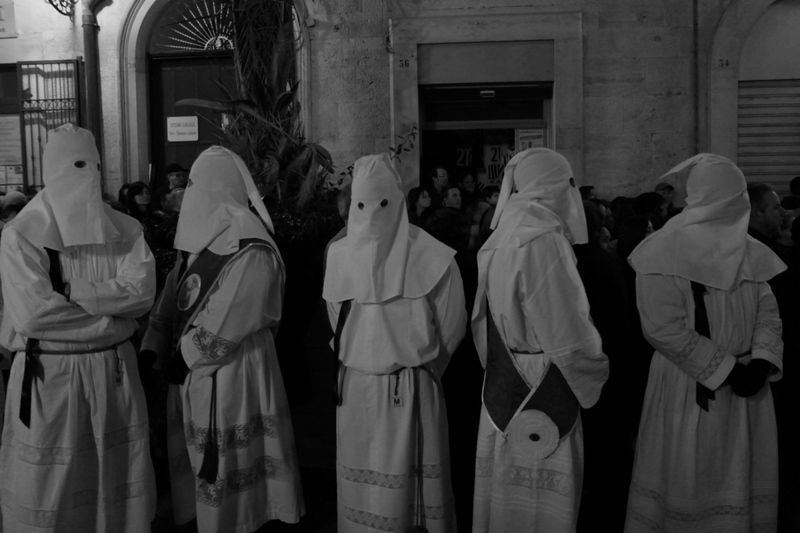 However, this type of sacrality was often criticized to Christians, as too many similarities were presented with the pagan processions prior to Christianity. 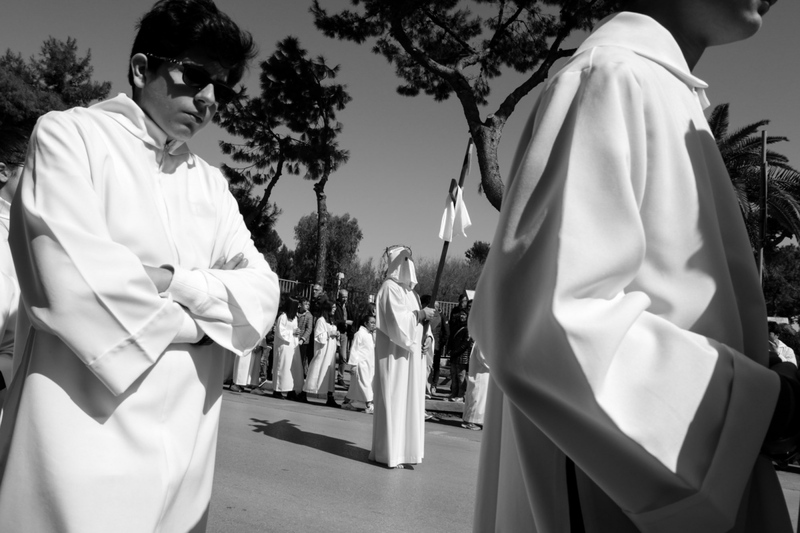 Today, through the costumes, the staging of the various brotherhoods and the practice of self-flagellation, they try to relive in first person the suffering experienced by their Saints, bringing the climate of the procession into a state of anxiety and an apparent suffering from part of the participants. 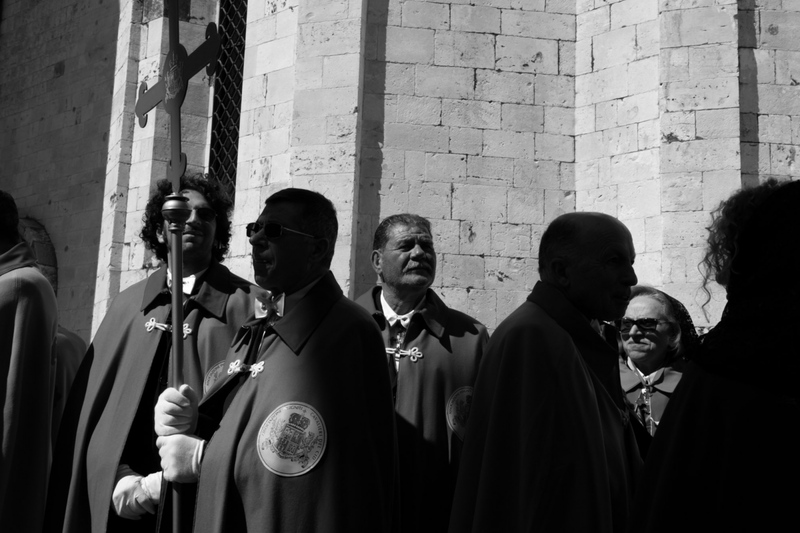 The representatives of the various confraternities, in fact, impose penances to be carried out during the procession. 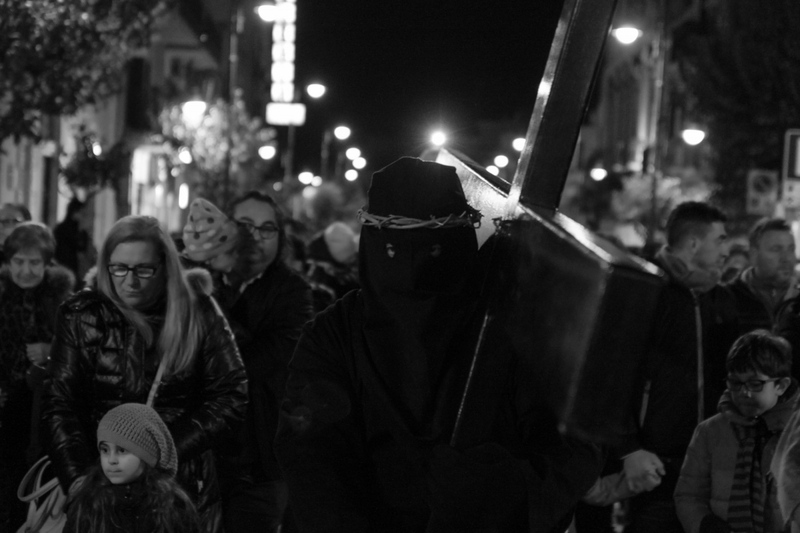 On Holy Thursday, for example, one traces the path of Christ with the cross, and on this occasion the martyrdom of Christ is presented again through the various confraternities who, bearing heavy wooden crosses that symbolize their sins committed during the year, put on a hood and, as a sign of penance, they go barefoot into the streets of the whole country. 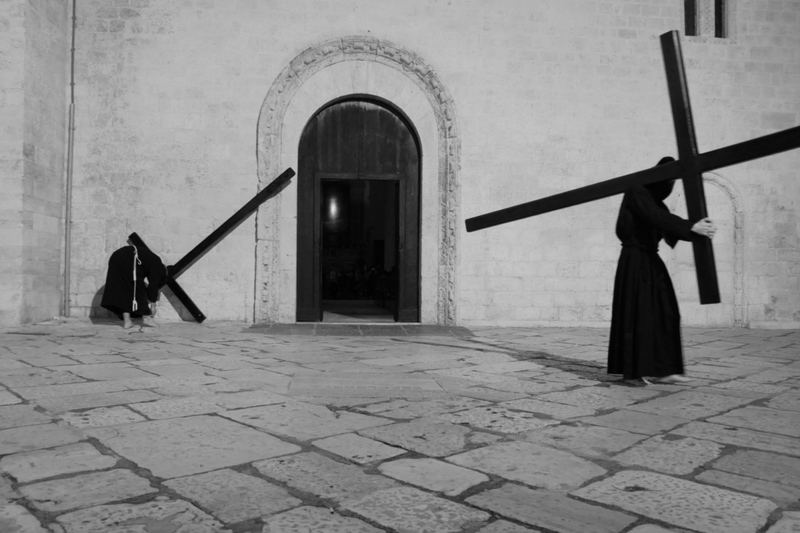 They can only stop inside the churches where, after laying the cross, they take the chain tied to their ankle and start to whip, as a sign of penance, and then start again with the path. 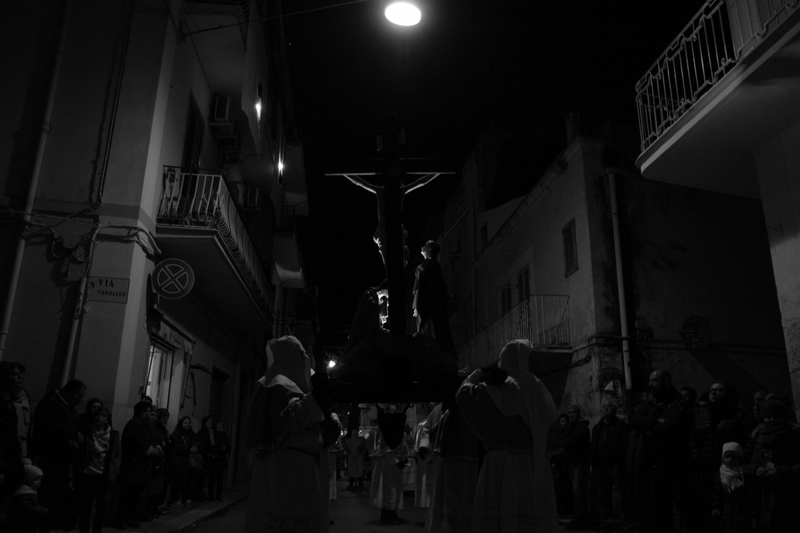 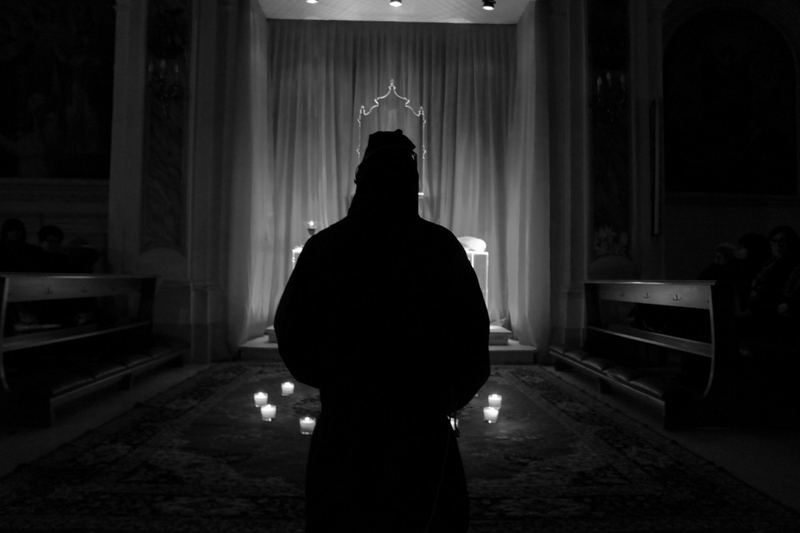 This project brings the intense climate of these processions, in a place where tradition, sacred and profane mingle, giving life to a tormenting and emotion-filled show, aimed at taking the viewer and bring him within a strong theatrical dimension, where the atmosphere of penance swallows the city, dragging it into a strongly suggestive environment. 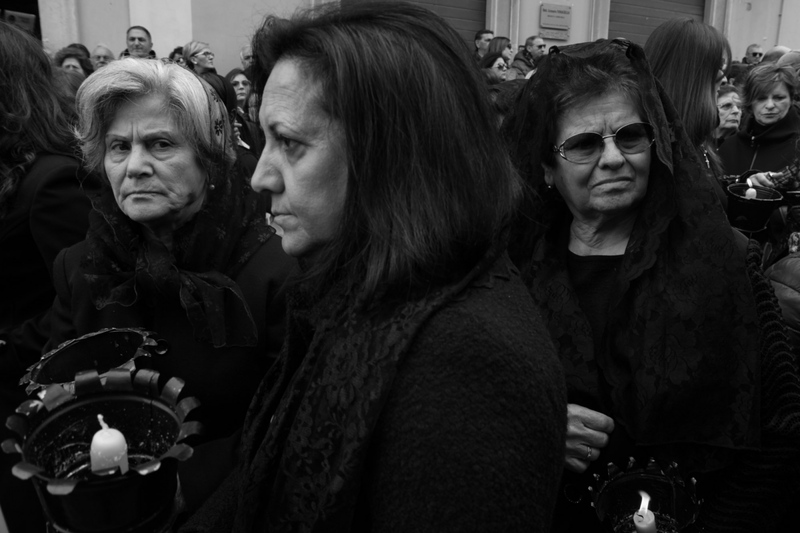 Thomas Francia was born on 13 February 1994 in Castelnuovo ne' Monti. 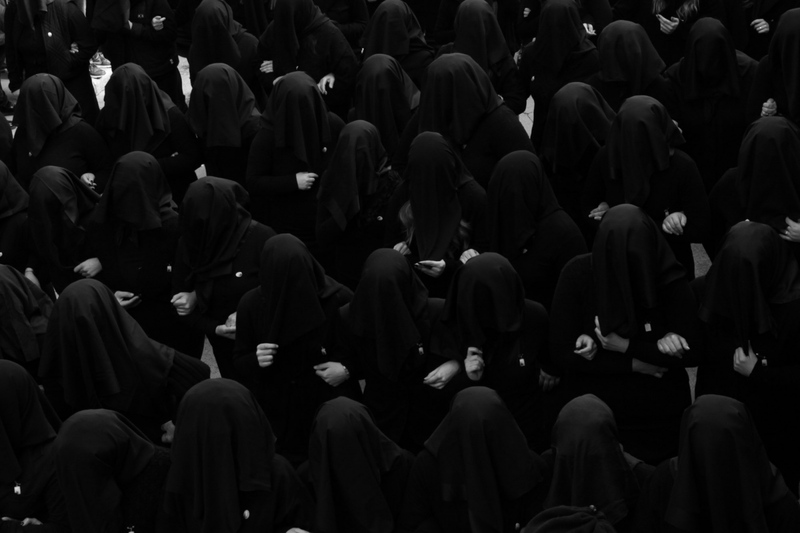 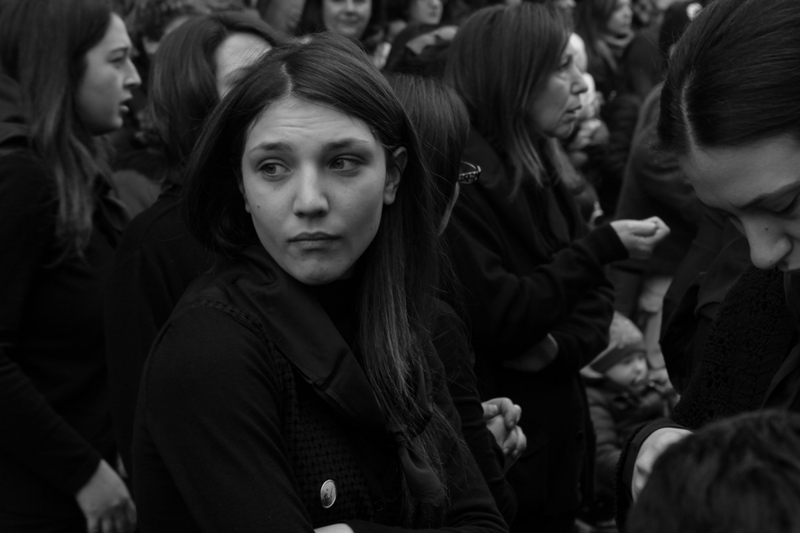 He is a freelance photographer based in Bologna, Italy.